In the National Book Award–winning Let the Great World Spin, Colum McCann thrilled readers with a marvelous high-wire act of fiction that The New York Times Book Review called “an emotional tour de force.” Now McCann demonstrates once again why he is one of the most acclaimed and essential authors of his generation with a soaring novel that spans continents, leaps centuries, and unites a cast of deftly rendered characters, both real and imagined. 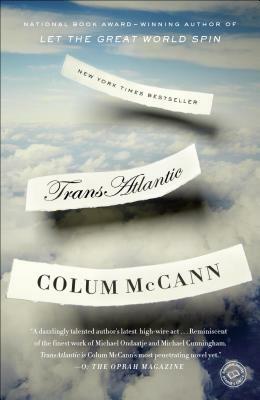 Colum McCann is the internationally bestselling author of the novels Let the Great World Spin, Zoli, Dancer, This Side of Brightness, and Songdogs, as well as two critically acclaimed story collections. His fiction has been published in thirty-five languages. He has received many honors, including the National Book Award, the International IMPAC Dublin Literary Award, a Chevalier des Arts et Lettres from the French government, and the Ireland Fund of Monaco Literary Award in Memory of Princess Grace. He has been named one of Esquire’s “Best & Brightest,” and his short film Everything in This Country Must was nominated for an Oscar in 2005. A contributor to The New Yorker, The New York Times Magazine, The Atlantic Monthly, and The Paris Review, he teaches in the Hunter College MFA Creative Writing Program. He lives in New York City with his wife and their three children.